I could not help but cringe as I watched this film. For one, it reeked of a disturbing white savior undertone. Ugandans were not portrayed as agents of their own liberation. Rather, they (particularly the young boy Jacob) were portrayed as helpless victims in need of Western do-gooders to save them with charity rather than solidarity and empowerment. As an African-American, I could not help but be offended by this. Many Ugandans and Africans feel the same way and had other problems with the film. The film received a very negative response in Uganda and lots of informed criticism from the world. Kony 2012 perpetuates the racist stereotype of Africans as uncivilized people in need of Westerners to civilize them. This is reminiscent of the “white man’s burden” the British used to justify their conquest of the world and the French colonizing Algeria and much of Northern and Western Africa in the name of a “civilizing mission”. The bloodshed caused by Western imperialism was justified on the grounds of “civilizing” people who were “uncivilized”. However, the white savior undertone is only one troublesome aspect. Focusing on that only scratches the surface. 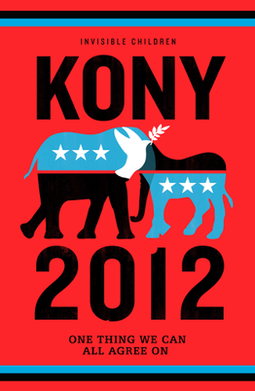 The insidiousness of Kony 2012 goes much deeper; the film is distorts reality and promotes U.S. militarism in Africa. The film was incredibly simplistic and misleading. Kony 2012 sells an old story about the LRA and its atrocities. It presents the LRA as incredibly active and expanding its brutality. However, the opposite is true. In 2006, the LRA was pushed out of Uganda by the Ugandan military and is now remote parts of South Sudan, Democratic Republic of Congo (DRC), and the Central African Republic. Kony is believed to be in any of those countries — not Uganda (there are even rumors that he’s dead but that’s not confirmed). In addition, the LRA’s numbers have dramatically decreased. Most of the LRA’s vicious crimes were committed at the height of the war in northern Uganda between 1999 and 2004. At this time, the LRA was very active and engaged in massive human rights abuses. Now the group is down to a couple hundred fighters. While the LRA still wreaks havoc, Uganda, fortunately, is experiencing far less bloodshed than it did a decade ago. Therefore, much of Uganda’s problems have to do with recuperating in a post-conflict era — not with defeating the LRA. There was also no political, cultural, or historical context or analysis in the film. The filmmakers say that Joseph Kony is a “bad man” who does “bad” things, like killing people and using child soldiers. But they never ask “Why?”. Where did this guy come from? How did the LRA come to be? Why are they fighting? What are the social, economic, and political factors behind the conflict in Uganda? None of that was addressed. It was just “Joseph Kony is a bad man. Let’s go get him. Here’s how: share our video, buy this bracelet, donate to our organization”. Yes, Kony is a bad man. We all get that. There are lots of bad people and war criminals out there. But they don’t come to exist in a vacuum. Hitler was obviously a mass murderer but historians understand that one of the main reasons Hitler and the Nazis rose to power was because of Germany’s severe economic depression, particularly after the 1929 stock market crash. We would understand very little about World War II and modern German history if we just called Hitler a “bad man” and not analyzed how he rose to power. In relying on an out-dated story and leaving out any political, cultural, or historical context and analysis of Uganda and Africa, Kony 2012 presents a very warped version of reality. The picture the film paints presents a really bad guy in Africa, doing really bad things. Because the international community is not doing anything, a group of young American activists must band together, form a non-profit to put pressure on the U.S. government to send in troops and apprehend this really bad guy. It’s as if this evil just came out of nowhere and the forces of good must vanquish it. I’m not an expert on Uganda or central Africa; most of my knowledge is on the Middle East and Northern Africa (I also understand Arabic, a language spoken in many African countries, such as Somalia). However, I understand international affairs, U.S. foreign policy, and Africa enough to know that Kony 2012 is leaving out a lot of vital information. I’ve talked to and read information put out by journalists, scholars, and activists on the conflict in Uganda and Eastern/Central Africa and the picture they paint looks completely different than the one painted by IC in Kony 2012. Therefore, based this research (despite my relative unfamiliarity with the region), I’d like to provide a better (though general, for the sake of brevity) analysis of the roots of the conflict, including U.S. foreign policy in the region, and ideas for what everyday citizens can do. To understand the plight of sub-Saharan Africa, particularly poverty and underdevelopment, it is important to acknowledge the role the trans-Atlantic slave trade played in this. The trans-Atlantic slave trade was a centuries-long system of exploitation. Millions of Africans were ripped away from their native lands, put on boats like cattle (many of whom died on the voyage), and shipped to European colonies in North and South America and the Caribbean to work on plantations as slaves. The slaves grew cash crops, like cotton and sugar, and performed other services to produce commodities that were sold in international markets for a profit (a unique feature not seen in other slave societies). In addition, slaves, themselves, were property and also sold on markets for profit. The benefits went to the slave owners and investors — not the slaves. Under slavery, wealth was transferred from black African slaves (and their descendants) to white European slave owners and other whites who benefitted from this unequal system. Even after slavery ended, the system of socioeconomic inequality between black and whites remained. As a result, his built the foundation for modern global capitalism and the present levels of racial inequality between blacks and whites in the United States. The trans-Atlantic slave trade devastated African continent. In 2007, Harvard economics professor Nathan Nunn published a study on the role slavery (not just the trans-Atlantic slave trade but also the trans-Saharan, Red Sea, and Indian Ocean slave trades) played in Africa’s underdevelopment. The results are staggering. He points out that “the slave trade caused political instability, weakened states, promoted political and social fragmentation, and resulted in a deterioration of domestic legal institutions.” Many of those problems still exist in Africa, particularly in Uganda. He also says that “the countries from which most slaves were taken (taking into account differences in country size) are today the poorest in Africa.” At the end, Nunn provides a shocking conclusion: “According to my calculations, if the slave trades had not occurred, then 72% of the average income gap between Africa and the rest of the world would not exist today, and 99% of the income gap between Africa and the rest of the underdeveloped world would not exist.” His findings “provide very strong evidence that much of Africa’s poor performance can be explained by its history, which is characterized by over 400 years of slave raiding.” Slavery robbed Africa of precious human capital (labor, knowledge, expertise, etc.) necessary for development. So it makes sense that 400 years of slavery would play a role in the continent’s underdevelopment. Moreover, this study provides evidence of the connected political, cultural, and socioeconomic fate between Africans in the diaspora and Africans on the continent. In addition, the borders of Africa are unnatural; unnatural in the sense that they were drawn by outsiders and not by the people of the continent. With the rise of Germany, industrialization in Western Europe, and increased competition between European powers for access to global markets in the late 19th century, Western European powers saw Africa as an important continent whose resources they wanted to exploit. 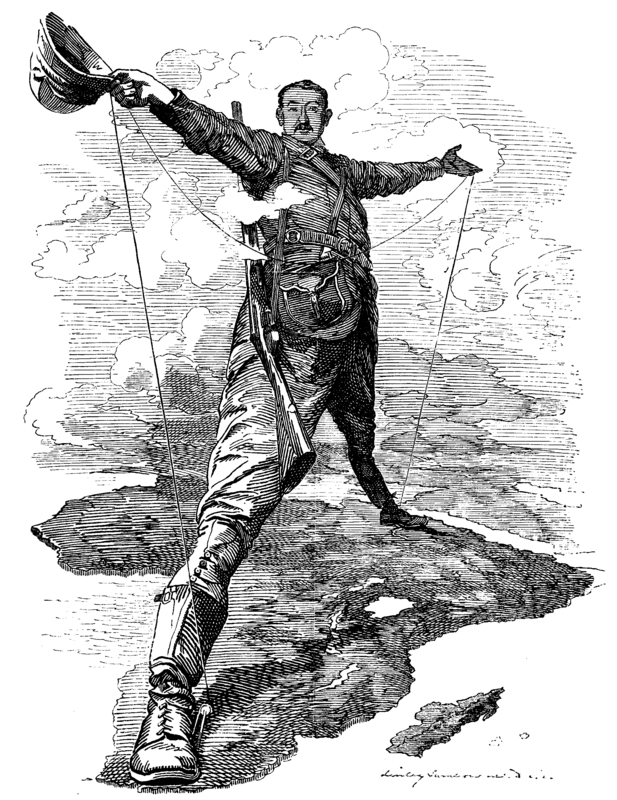 This “Scramble for Africa” was formalized in the Berlin Conference of 1884-85. At the conference, Belgium, Germany, Spain, France, Great Britain, Italy, and Portugal carved their own spheres of influence in Africa. Belgium gained control of the Congo; Britain received Uganda, much of Southern and Eastern Africa (including Egypt in the north), and Liberia, Ghana, and Nigeria in West Africa; France got most of Northern and Western Africa, particularly Algeria; Germany controlled Namibia, Rwanda (until around World War I when Belgium took it over), Cameroon, and Tanzania; Italy took Libya, Eritrea, and Somalia; Portugal got Mozambique and Angola; Spain took the smallest territory in Equatorial Guinea. In drawing up these borders, European powers pitted tribes against by backing one group over another to further their colonial interests in Africa. That’s why, even after African countries became independent from colonial rule, many of them still suffer from tribal/ethnic conflict and political instability. In the early 1900s, King Leopold II of Belgium made Congo his personal property and the United States was the first to recognize it as such. During its colonial rule, Belgium exploited Congo for its natural resources, such as rubber and its land. American investors also exploited its land. Tired of colonial rule, in 1958-60, masses of Congolese rose up to kick Belgium out of Congo and establish their own independent country. In 1960, Patrice Lumumba was elected Prime Minister of Congo and pledged to use the resources of Congo for the benefit of the people. This angered the Belgian and U.S. governments who saw Lumumba’s nationalism as a threat to their economic interests in the Congo. Moreover, the U.S. was caught in a Cold War mentality where any movement for national independence was seen as part of a wider Soviet conspiracy against the United States, even though most of those movements were not aligned with the Soviet Union. So shortly after Lumumba was elected, the CIA and Belgian government deposed and assassinated him. The U.S. imposed a brutal dictator, Mobutu Sese Seko, to power in Congo (then known as Zaire) to support their economic interests, such as access to vital resources, like cobalt. He remained in power for 32 years, from 1965 to 1997, and his rule destabilized Congo/Zaire. After the 1994 Rwandan genocide, Paul Kagame, a U.S. ally, comes to power. Many Hutus, who were blamed for the genocide, move into the Congo as refugees. While some of refugees were responsible for the genocide, many were innocent civilians, women, and children. To chase after them, Rwanda, with the help of Uganda, which is run by U.S.-backed dictator Yoweri Museveni, and Burundi, invaded Congo in 1996 and 1998. In the midst of the 1996 war, Mobutu was overthrown by Laurent-Desire Kabila in 1997 and the country was renamed Democratic Republic of Congo (DRC). In 2001, Kabila was assassinated and replaced by his son Joseph Kabila. During the two wars, around 5 to 6 million people were killed, including civilians targeted by the Rwandan and Ugandan militaries. In addition, Museveni used child soldiers (yet, this fact was ignored in the Kony 2012 film). After the peace accords in 2002, Uganda and Rwanda pulled out of the DRC. Because of their invasions, U.S.-backed dictators, Paul Kagame and Yoweri Museveni, have the blood of millions of Africans on their hands. Yet, this fact was conveniently ignored in Kony 2012. Nor did Kony 2012 mention the human rights abuses of the Ugandan government under Museveni, who has been in power since 1986. These abuses include unlawful killings, torture and other ill-treatment, election-related abuses, curtailments on freedom of expression, and discrimination against gay, lesbian, bisexual and transgender people. This is in addition to millions killed during Uganda and Rwanda’s invasions of Congo. The people of northern Uganda, predominantly Acholi, are very marginalized. According to a Small Arms Survey report, “in 2006, 60 percent of schools in the north were non-functioning, leaving 250,000 children without any education; 95 percent of people in the north were living in absolute poverty compared with the national average of 37 percent”. Dire socioeconomic conditions, lack of political representation, and government corruption led to the formation of the Lord’s Resistance Army (LRA). There is no doubt that the LRA is responsible for horrible atrocities. However, if the Ugandan government attended to the needs of the people of northern Uganda then the LRA probably would not exist. The film Kony 2012 explicitly advocates for U.S. military intervention in Uganda to apprehend Joseph Kony and hunt down the Lord’s Resistance Army. In October 2011, Obama sent100 U.S. troops into Uganda to do exactly that — a decision Invisible Children praised in the film. President Obama reciprocated by supporting the Kony 2012 campaign. On the surface, this seems like a nobel humanitarian effort. However, there are two things to keep in mind: one, military interventions tend to be counter-productive; two, there are deeper geopolitical reasons behind U.S. military intervention in Africa, with humanitarianism used as a pretext. U.S. military involvement in Africa has existed for over two centuries. In recent years, Africa became another front in the global “War on Terror” because of the presence of Al-Qaeda-linked groups in parts of Africa. As a result, the U.S. stepped out counter-terrorism military operations in Africa. In December 2006, the Combined Joint Task Force-Horn of Africa (CJTF-HOA), a U.S. task force based in Djibouti and now part of United States Africa Command (AFRICOM), provided intelligence to Ethiopia in support of its invasion of Somalia. CJTF-HOA also used military facilities in Kenya, Ethiopia, and Djibouti to launch air raids and missile strikes against alleged al-Qaeda members in Somalia in January and June of 2007 and May of 2008. Uganda also helped the U.S.’s proxy war in Somalia, which is one of the reasons why the U.S. supports the Ugandan government. Ethiopia’s invasion of Somalia, along with U.S. air raids and missile strikes, resulted hundreds of civilian deaths and over a million Somalis displaced from their homes. This further destabilized Somalia, worsened the country’s dire humanitarian situation, and did not diminish terrorism in Somalia but, instead, helped it grow. Other counterterrorism operations in Africa met with similar results. Many of the groups the U.S. fights against in its global “War on Terror” are groups with localized grievances rather than aspirations for extremist global jihad. By continuing to bomb countries in order to stop terrorism, the U.S. winds up killing civilians, which encourages people in those countries to want to strike back at the U.S. Terrorism is real concern but militarism is a counter-productive way to deal with it. It is also worth mentioning that the U.S. previously supported military interventions to apprehend Joseph Kony but those missions ended in horrific failure. Therefore, another U.S. military intervention in Uganda is likely to be counter-productive. There are deeper strategic reasons behind U.S. militarism in Africa, namely, access to natural resources and countering China’s influence in the continent. Obama’s new military strategy, along with beefing up special operations and drone usage, emphasizes a “pivot” toward China and ramping up of U.S. military presence in the Asia-Pacific to counter China. In recent years, China has been building trade relations with many African countries to gain access to natural resources. This worries many American political elites, including the influential think-tank Heritage Foundation, because the U.S. will have to compete with China, a formidable power, for access to vital natural resources in Africa. If China gets more access to natural resources in Africa (along with other economic ties), that would tip the geopolitical scale in China’s favor, thereby, increasing Chinese power and weakening American global hegemony. Hence why the U.S. has been monitoring China’s “aggressive” behavior in Africa. Access to vital natural resources is the other (and very important) strategic reason behind U.S. militarism in Africa. For centuries, European powers knew that the African continent was a treasure trove awash in vital resources, hence, why they exploited and colonized the continent. During the transatlantic slave trade, those vital resources including human beings (Africans) who were used as slaves for over 300 years. The natural resources in Africa include oil, natural gas, diamonds, timber, and vital minerals, such as gold, cobalt, copper, and coltan, which is used in electronic devices. These are vital resources that many countries, especially the U.S., wish to get their hands on. “214. Exploitation of the natural resources of the Democratic Republic of the Congo by foreign armies has become systematic and systemic. Plundering, looting and racketeering and the constitution of criminal cartels are becoming commonplace in occupied territories. These criminal cartels have ramifications and connections worldwide, and they represent the next serious security problem in the region. Many foreign, including U.S., corporations exploit Congo for its resources. They include American Mineral Fields, based in the U.S.; Afrimex, based in the United Kingdom, Specialty Metal, based in Belgium and several multinational corporations from Western Europe, Canada, and other parts of the world. In supporting armed militias to gain access to natural resources, these companies exacerbate in the suffering in Central Africa. Therefore, these companies played a key role in destabilizing the DRC and the deaths of millions in the region. The U.S. is beefing up its military involvement in Africa. The creation of the United States Africa Command, known as AFRICOM, is an example of this. Previously, U.S. military activities in Africa were overseen by three different commands. In October 2008, the Bush administration established AFRICOM, a single command with its headquarters in Stuttgart, Germany, to oversee U.S. military activities on the African continent. The military activities, overseen by AFRICOM, include joint military operations, training African militaries (including militaries of corrupt regimes), counter-terrorism operations, arms sales, naval operations in the oil-rich Gulf of Guinea, and implementing base access agreements in which U.S. military forces gain access to bases operated by local militaries. The U.S. already negotiated base access agreements with Uganda, Gabon, Kenya, Mali, Morocco, Tunisia, Namibia, Sao Tome, Senegal, and Zambia. AFRICOM also participated in the 2011 NATO intervention in Libya, which was its first major combat deployment. In addition, the U.S. is building drone bases in the Horn of Africa and Arabian Peninsula to launch counterterrorism operations. The U.S. already has drone bases in Ethiopia, Djibouti, and Seychelles. The CIA is also running a secret prison in Somalia. The creation of AFRICOM, and growing U.S. militarism in Africa, is opposed by many governments, civil society groups, and citizens in Africa. Securing access to natural resources (particularly oil), global trade, and countering Chinese influence in Africa are the key strategic reasons behind the U.S.’s increasing military involvement in Africa. By 2020, it is expected that one-quarter of America’s oil imports will come from Africa. While Nigeria has the continent’s largest supplier of oil, Uganda has large oil reserves. According to OilPrice.com, Uganda has an “estimated reserves of at least 2.5 billions of oil”. It could also “support production of over 100,000 barrels of oil per day for the next two decades.” Hence, U.S. support for the Ugandan government. In June of 2011, the Pentagon sent a $45 million package in military equipment to Uganda and Burundi. According to the Washington Times, the “aid included four small drones, body armor and night-vision and communications gear”. ExxonMobil, Chevron, ConocoPhillips, and other U.S. oil companies operate in African countries, such as Algeria, Angola, Cameroon, Chad, the Republic of Congo, the DRC, Equatorial Guinea, Gabon, Libya, and Nigeria. Shortly before the 2011 Libyan civil war ended, multinational oil companies scrambled for access to Libya’s plentiful oil reserves. Therefore, U.S. military involvement in Africa is driven less by humanitarian concerns and more by geopolitical calculations to project power and gain access to natural resources. The problems facing Uganda and the African continent are very important issues that need to be addressed. In order to address them, it’s important to learn about the issues and do diligent research. Kony 2012 is not helpful, in this regard. In providing a misleading picture of Uganda and Africa, the film does more harm than good. A false analysis of a problem will inevitably lead to a solution that will either not work or make the problem worse. Joseph Kony has obviously committed terrible atrocities and needs to be brought to justice. However, there are other issues facing Uganda that are far more pressing, such as healing from years of conflict, poverty, and corruption within the U.S.-backed government of Yoweri Museveni. The reality is that the U.S. and rest of the Western world are already involved in Africa, from counterterrorism and other military operations, to supporting corrupt governments, and to Western multinational corporations exploiting the continent for its natural resources. It is certainly wrong to blame all of Africa’s problems on U.S. and Western foreign policies. There are many other elements that influence Africa’s problems that have nothing to do with the West, such as China, corruption, local hatreds or other factors. However, the actions of U.S. and other Western governments have played significant a role in causing and exacerbating many of the problems that plague the African continent going back to the transatlantic slave trade. Therefore, it is important for the citizens of those countries to hold their governments responsible for their deleterious actions. Calling for more militarism in Africa, as Kony 2012 does, will make matters worse, for the reasons enumerated above. Better solutions would be to: end U.S. and Western support for corrupt African governments, such as Museveni in Uganda; prosecute Museveni and Kagame for war crimes and crimes against humanity committed in the DRC; hold the multinational corporations accountable for exploiting the DRC’s natural resources; and decrease U.S. militarism in Africa. African problems will not be solved by multinational corporations, nonprofits, NGOs, million-dollar astroturf campaigns, foreign militaries, nor by politicians in Africa or the West. African problems will be solved by everyday African people. Social movements in Africa ended European colonialism, brought down apartheid in South Africa, and continue in movements such as Occupy Nigeria— an extension of the Occupy Wall Street movement. In addition, local actors in Africa, such as civil society groups and citizens, continue to do great work in helping their countries. As an African-American, I think it is important for my community to revive the pan-Africanism and connect our struggle for justice at home with the struggles for justice in Africa. To stand in solidarity with Africans, citizens of the U.S. and other Western countries should pressure their governments to stop supporting brutal African regimes, stop exploiting the continent for its natural resources, and end policies that destabilize the continent. That sounds like a much better plan than watching a 30-minute video, buying bracelets, and supporting U.S. militarism in Africa. Thanks for this provoking piece! As a pofsesror of Peace and Conflict Studies, I am squarely in the critique camp. The situation on the ground in N. Uganda is complicated. In the process of overgeneralizing, Stop Kony makes the organization Invisible Children the sole arbiters of what needs to be done to ‘fix’ the problem there. As Laura notes in her post, there are many able and willing Ugandans who are doing incredible and important work to rebuild Acholi society. These stories are sorely missing from the narrative of Invisible Children.The approach of Invisible Children also negates the complexities behind the violence in N. Uganda (and surrounding countries). The abduction of children, their integration into the LRA and the violence they commit is part of a deeper, broader and more complex structural problems that plague much of the African continent. For example, basic rights are near nil, and are certainly not assured by the Museveni’ government, nor his Uganda Peoples Defence Force (UPDF). Food, clean water and healthcare are lacking, making drafting children into armies more compelling than they might otherwise be. These are all structural forms of violence!Invisible Children, the organization, are “useful idiots,” being used by those in the US government who seek to militarize Africa, to send more and more weapons and military aid, and to build the power of military rulers who are US allies. The hunt for Joseph Kony is the perfect excuse for this strategy—how often does the US government find millions of young Americans pleading that they intervene militarily in a place rich in oil and other resources? The US government would be pursuing this militarization with or without Invisible Children—Kony 2012 just makes it a bit easier. Therefore, it is the militarization we need to worry about, not Invisible Children.Lastly, the documentary will do little if anything to impact people’s lives in N. Uganda. This is not because things have entirely improved in the years since open fighting ended, but because the very serious problems people face today have little to do with Kony. The most significant problem people face is over land. Land speculators and so-called investors, many foreign, in collaboration with the Ugandan government and military, are trying to grab the land of the Acholi people, land that they were forced off of a decade ago when they were herded into camps by the UPDF. Another prominent problem is nodding disease—a deadly illness that has broken out among thousands of children who grew up in the government’s internment camps, subsisting on relief aid. Indeed, the problems people face today are the legacy of the camps, where over a million Acholi were forced to live, and die, for years by their own government. Today’s problems are the legacy of the government’s counterinsurgency, which received full support from the US government and international aid agencies. For me, it is the militarization of Ugandan society by its government, with outside resources and support is where we should be directing our advocacy.